Kent’s interest in the Buildbase FA Trophy is over for another season as Maidstone United’s suffered a Quarter Final replay mauling at the hands of promotion chasing Stockport County. Kent’s last remaining side in the Buildbase FA Trophy this season face a really tough tie if they are to gain a quarter final place. 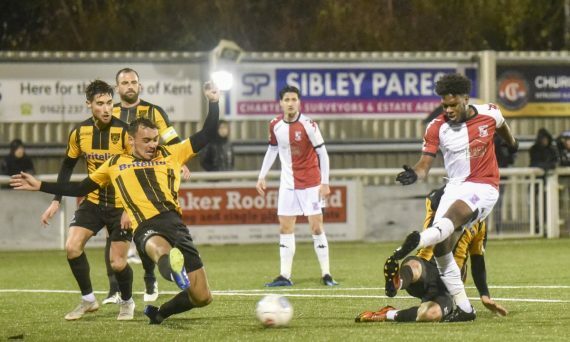 On an incredibly wet night at the Gallagher, Maidstone United certainly proved that where there’s a “Will”, there’s a way, as Will De Havilland’s header five minutes from the end of extra time keeps Harry Wheeler’s side in the FA Trophy.